Warner Bros. Interactive Entertainment has announced the LEGO Marvel Collection for PlayStation 4 and Xbox One. 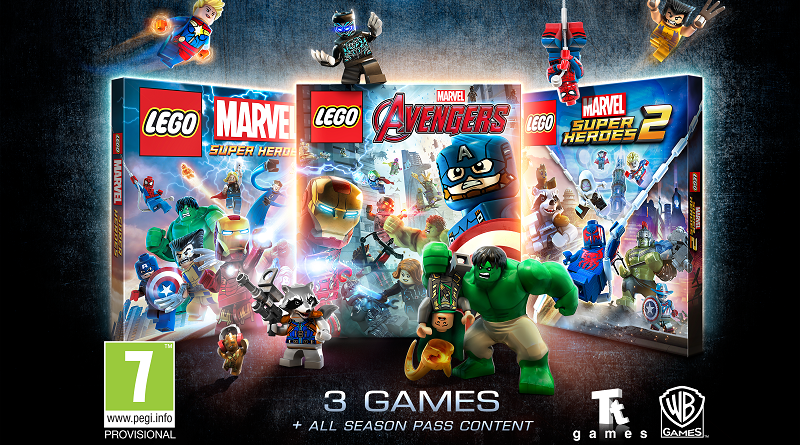 The LEGO Marvel Collection is set to combine the three LEGO Marvel games so far – LEGO Marvel Super Heroes, LEGO Marvel Super Heroes 2 and LEGO Marvel’s Avengers – into one package for PlayStation 4 and Xbox One. This new combined game set is due for release on March 15. As well as the three games, the pack will include previously released DLC for the games, including the character and level packs for Black Panther and Marvel’s Avengers: Infinity War. In LEGO Marvel Super Heroes, the heroes of the Marvel universe come together for the first time as minifigures. LEGO Marvel Super Heroes 2 picks up right where that game leaves off in an original branching storyline co-written by award-winning comic writer Kurt Busiek, packing in more characters than ever before. LEGO Marvel’s Avengers follows the storylines from The Avengers and Avengers: Age of Ultron, with over 200 playable characters for gamers to choose from. LEGO Marvel Collection will be released on March 15.